If you know the Top Gear show, than you are familiar with some of their more ludicrous projects that are born from the minds of the three co-hosts. But while most are just rubbish with only an entertaining value to them, they do, on occasion, get involved into some projects that, while still largely insane, have potential to get the job done… whatever that is. 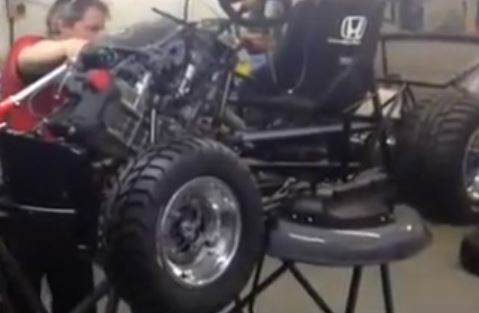 In such an attempt, Top Gear started a collaboration with car maker Honda in order to build the world’s fastest lawnmower. The idea sounds insane, but this is not the first time this has happened. Right now, the world record for the fastest lawnmower is held by Bobby Cleveland who did 155.35 km/h on the Bonneville Salt Flats. 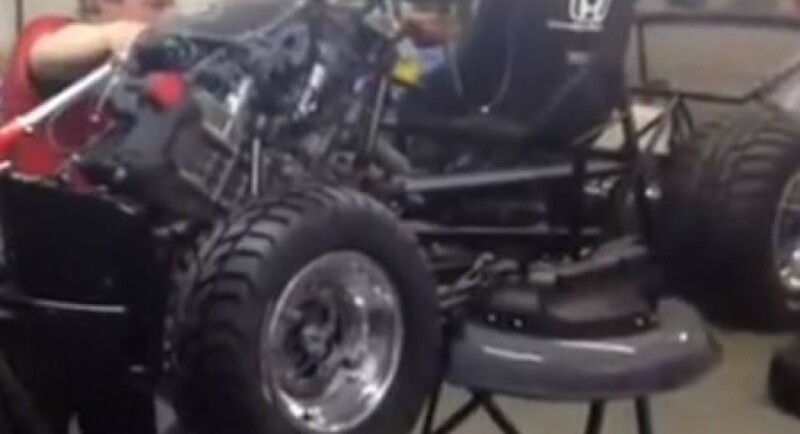 The machine Honda is building is powered by a 110 Hp engine and it has an acceleration time to 96 km/h of just 4 seconds, with a projected top speed of 209 km/h. And while this lawnmower might as well beat the previous record, somehow I don’t see it being very practical at mowing the lawn. Classic Top Gear project.